There are many outdoor elements that can scratch or ding up the hood of your Wrangler JL. Help protect it with the Aeroskin II from Autoventshade. 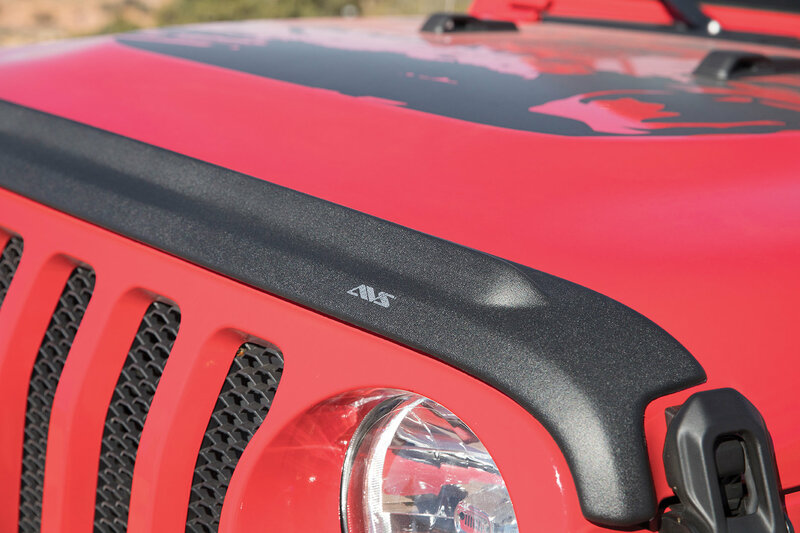 made from strong Dura-Flex 2000 TPO this hood protector will contour to your JL's hood giving a lifetime of protection. Design: A low profile with deflection design that that fits perfectly along the front of your Jeep's hood providing solid overall protection. Durable: Made from Dura-Flex 2000 TPO to give you a strong reliable hood deflector that will stand up to outdoor elements and debris. Installation: No drilling or modifications are needed to your JL, all you need to do is peel the 3M automotive grade adhesive and apply to the hood of your Jeep.